The Nationwide Insurance: Robert C Cook in Cordova, TN provides the following products. To learn more about each insurance product, click on the links below. Robert C Cook is your go-to source for friendly, knowledgeable advice about your Cordova auto insurance. It doesn't matter if you're trying to determine the right claim limits for your household, or if you're a first-time owner of an RV, motorcycle, or specialty vehicle. Whatever your question, we can help you find quick, confident answers and speedily take care of your auto insurance needs. Robert C Cook customer needs run the gamut from meeting minimum requirements for the state of TN and finding low-as-they-go premiums, to building comprehensive, personalized coverage through various Nationwide programs. Along with higher claim limits, roadside assistance, rental reimbursement, and gap insurance are some of the popular options. You can also reward yourself for every year of claims-free driving by enrolling in the Vanishing Deductible® program. There are sizable discounts available to most customers, everything from good grades to multiple policy discounts. We also offer plenty of billing and payment options to make running your household just a little bit easier. Whether you're in our neck of the woods on 152 Timber Creek or no matter where you live in Cordova, you can get the coverage you need with the Robert C Cook. Give us a call at (901) 366-6793 today. Owning a home can be exciting, but it also comes with additional responsibility. Making sure you are adequately protected against unplanned loss such as theft or natural disasters is an important part of being a home owner. Robert C Cook in Cordova has a variety of options to help protect your home and personal belongings in the aftermath of an unexpected incident. Some of the coverage types that we offer include replacement cost plus, sewer backup, Brand New Belongings®, Valuables Plus®, and personal liability. We understand that insurance needs vary from one person to another, so we will help you customize a plan to meet your specific situation. Understanding your policy is also important so that you know exactly what is covered. Along with figuring out the best protection for you, Robert C Cook will also go over your covered losses, deductible, coverage limits, and any other pertinent information. Our personal touch also continues once you are a member. We will walk you through the claims process if you ever need it and do what we can to help get your life back to normal as quickly as possible. 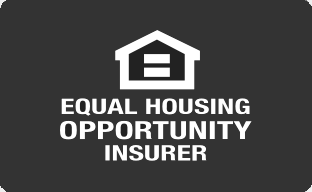 Contact Robert C Cook to discuss your home insurance solutions as well as any money saving discounts that you may be qualified for. You can schedule an appointment for a complimentary consultation at our office, conveniently located at 152 Timber Creek. You can also give us a call at (901) 366-6793 to speak with a qualified agent and either sign up for a policy over the phone or ask any questions you may have. We at Robert C Cook are here to help people like you in the Cordova area. We are here to answer your questions and make life insurance understandable. We will explain term versus permanent insurance and we will outline the types of life insurance that may be best for you. Life gets hectic; make sure you are not too busy to take care of yourself and your family. Call us now at (901) 366-6793 and ask for Robert C Cook. We are located at 152 Timber Creek,Cordova,TN,38018 and you are welcome to stop in any time. Let us help you find the right policy to assure your family’s financial security. Whether you operate a golf course, medical clinic, or auto repair shop, coverage from Nationwide can fulfill all the small business insurance requirements that apply to Cordova companies. Let Robert C Cook help make sure that your customers and employees are protected, while also allowing your company to move forward when covered damages do occur. The versatile risk management products from Nationwide are backed by strong value, attractive discounts, and the superior On Your Side® Claims Service. Moreover, flexible billing helps meet your financial scheduling needs, while different payment options can prevent insurance from becoming another logistical hassle. From customized policies to good old fashioned customer service, it's all part of the package Robert C Cook offers our Cordova business clients. No matter how well you know your business, there always seems to be a few lingering questions about the right coverage for your company. Whether it's the location of your storefront, the size of your commercial fleet, or the feasibility of new employee benefits, let Robert C Cook answer any and all questions you might have. Give us a call at (901) 366-6793 to talk about your coverage or to schedule an office appointment at 152 Timber Creek. The Robert C Cook also offers products in MS, SC, TN. Please call for information on products in those states. I started as an agent in 1993 from a desk and a phone book to build the agency. I take a lot of pride in that and strive to serve our clients. My agency is small and most clients have the benefit of working with me directly. Nationwide also offers many other ways to connect with them via call centers and online services. I work with our clients directly. This allows me to better understand your needs I appreciate our clients and work everyday to earn their business.